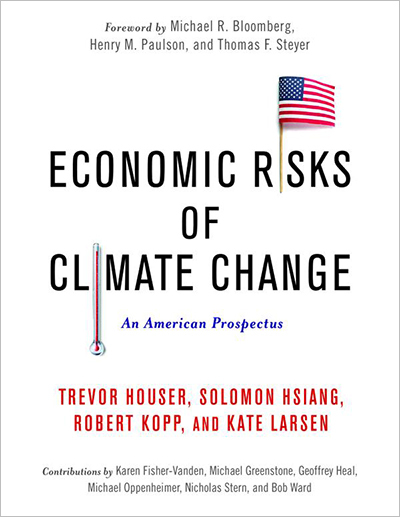 The Risky Business Project is happy to announce the publication of Economic Risks of Climate Change: An American Prospectus. This new book, based on analysis by our partners at Rhodium Group, UC Berkley, Rutgers University, and Risk Management Solutions (RMS), provides new insight on the economic risks the United States faces from climate change. With a foreword from Risky Business co-chairs Michael Bloomberg, Henry Paulson, and Thomas Steyer, as well as new contributions from leading scientists, modelers, and economists, the book is an essential tool for helping businesses and governments prepare for the future. For more information on Economic Risks of Climate Change: An American Prospectus, click here.